We are a church full of imperfect people striving to follow a perfect God. Here at Harvest Time church, we want you to feel at home. We strive to create an authentic, fun place that the entire family will love. 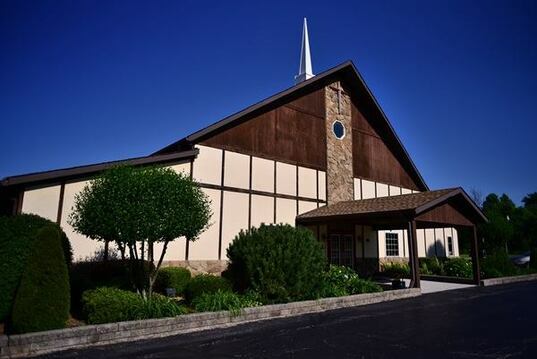 We look forward to seeing you at one of our Sunday morning services at 10:00am. We are a family church that loves God and loves people. We believe that God is alive and loves us so much that He desires to bless every area of our life. Currently our Wednesdays and teen ministry are still being worked on. These two ministries will soon be announced). We are a family member of the Assemblies of God. This provides us a larger group of believers that we can associate with and be reminded that we are not alone in our mission! At HT we believe something miraculous happens when the plans and purposes of God are believed, received and practiced in a person's life. Our mission is to reach the people, families, neighborhoods, our city and our world with this message: "God loves you and has a plan and a purpose for your life. And you can discover it." God has been faithful to our church family by keeping His promises that He has a plan for our lives and gives hope for our future. Together we have fun, fellowship and often tons of food with the rest of our Harvest Time Family. We are a happy bunch, trying to be the best we can be according to our God-given design. At Harvest Time you will be encouraged to be who God created you to be and maximized your calling in life.